The Vanquisher Mouse is a breed of mouse found in the Elub Shore. It is known to drop Seashells in Elub Shore. Do not let the small stature of the Vanquisher mouse deceive you. Its methods of combat are tenaciously effective. 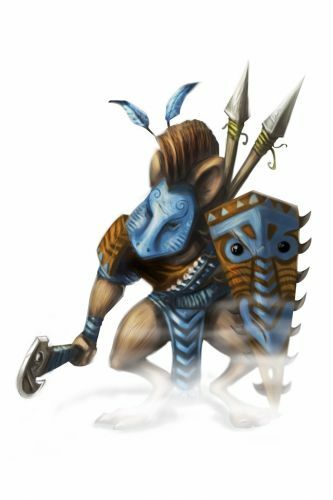 A proud warrior of the Elub tribe, the Vanquisher mouse carries several weapons into battle, often throwing them with deadly accuracy at their opponents. The Vanquisher Mouse has no specific preference for any kind of cheese. The Vanquisher Mouse drops the Elub Egg during the annual Spring Egg Hunt. 21 July 2009: The Vanquisher Mouse was introduced with the release oif the Tribal Isles region. 14 April 2011: The Vanquisher Mouse began dropping a bonus Elub Egg as loot during the Spring Egg Hunt 2011 event. 29 July 2011: The Vanquisher Mouse began dropping Elub Power Charms as loot for the duration of the Tribal Bonus Loot Weekend. This page was last edited on 27 May 2017, at 02:17.